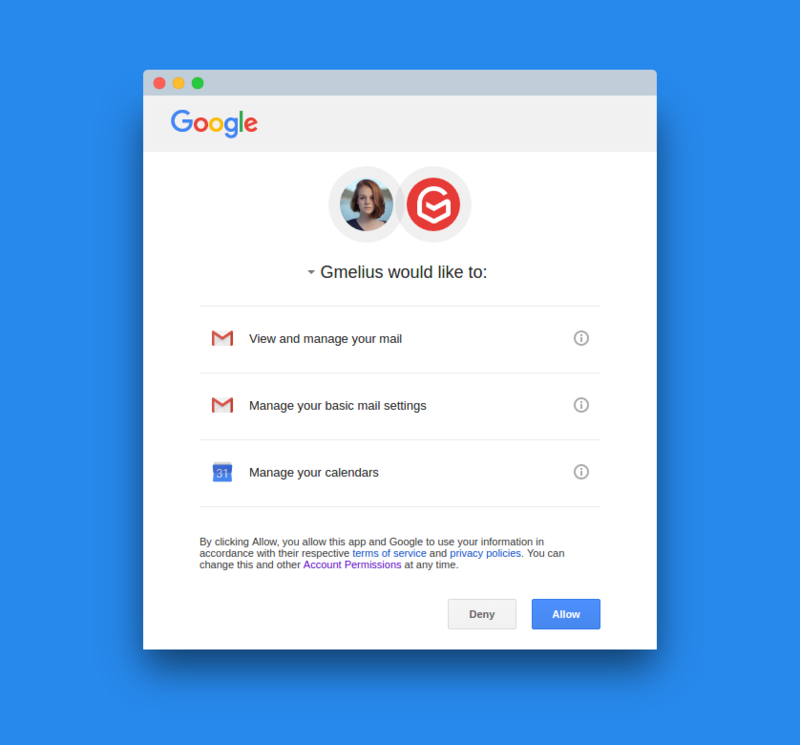 To ensure Gmelius works properly, please allow Gmelius to communicate with Google. All emails are sent via the Gmail API directly. We use OAuth so we don’t have access to your inbox password and you can revoke access at any time. In our queries, we only temporarily store the IDs of your messages and drafts, e.g., to send a scheduled draft or create a follow-up. In order to uniquely identify the messages you wish to track, we store the subject and recipients to notify you of opens and display related activities. To restart the authentication procedure, please close this window and reload your inbox or Gmelius dashboard.